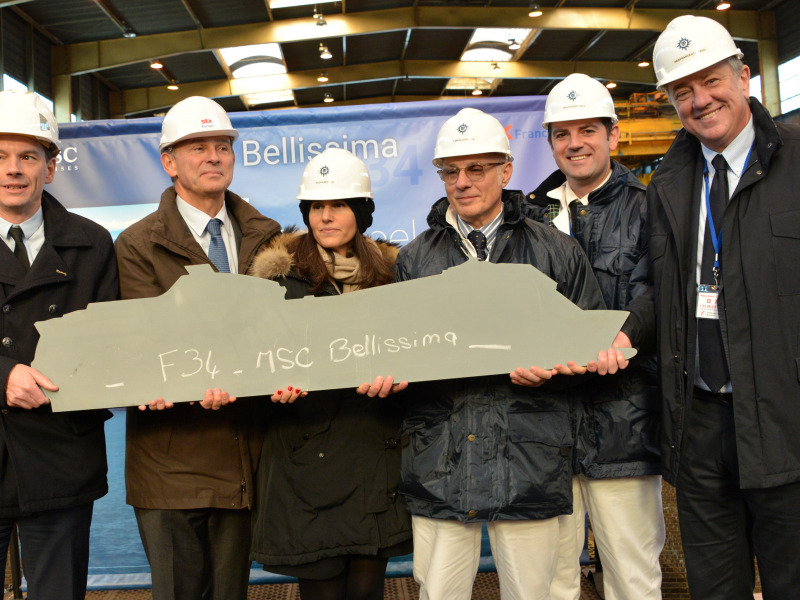 MSC Cruises, the Swiss-based world’s largest privately-owned cruise line and market leader in Europe, South America and South Africa, and STX France, a world leader in the construction of innovative cruise ships, held a traditional steel cutting ceremony at STX France in Saint Nazaire on Monday to mark the official commencement of construction of MSC Bellissima, the second of the Meraviglia generation of ships that will come into service in 2019.The first steel plate that will form the ship’s hull section was cut in front of a group of employees from both companies to celebrate another important milestone for both partners. MSC Bellissima has been designed to operate in all seasons and to call in most of the world’s international cruise ports. 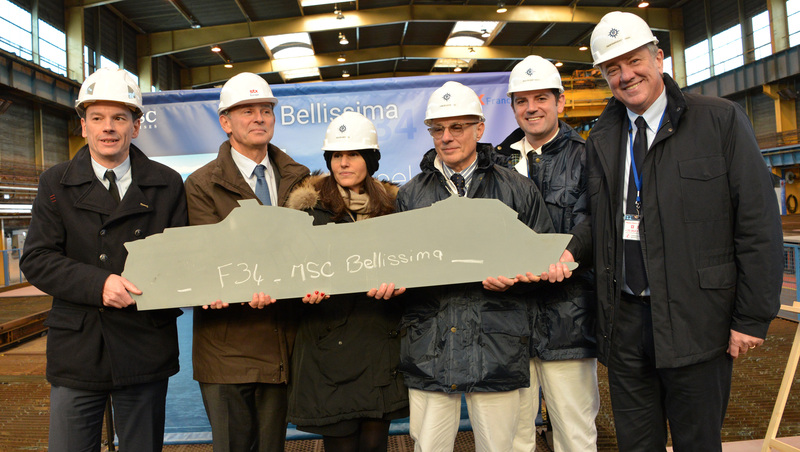 As her name suggests, MSC Bellissima will embody the beauty and magnificence of the next-generation of MSC Cruises’ ultramodern mega-ships, rich with new features and amenities for guests of all ages and interests. With a gross tonnage of 167,600 GRT and capacity for more than 5,700 guests, this new cruise ship will be the largest in MSC Cruises’ fleet, along with MSC Meraviglia.